Swiss Bank EFG International became the latest Swiss bank to join the U.S. Justice Department’s voluntary tax evasion disclosure program. The program is a compromise brokered between the United States and Swiss governments. It allows Swiss banks to make amends for possibly helping U.S. taxpayers evade taxes. The program has created quite a bit of controversy within the United States. Our sources tell us that although the banks will not turn over the names of Americans with Swiss accounts, they will turn over sufficient information to allow IRS officials to figure out the names. Others who are involved with the existing treaties between the two countries say that would be a treaty violation. 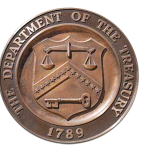 Everyone from officials within the Treasury Department’s FinCEN unit (Financial Crimes Enforcement Network) to private treaty lawyers have weighed in on the debate. Obviously, the Justice Department and IRS are happy with whatever they are getting out of the deal. Just how much they are getting remains subject to debate. What does this mean if you have a foreign or Swiss bank account? The answer is a bit complex. Owning or having signature authority over a Swiss account is completely legal if the account is reported annually. Reporting is done on one’s income tax return as well as a Report of Foreign Bank and Financial Accounts (FBAR) and for some individuals, a form 8938 (FATCA form). Having an unreported offshore account could be a felony and often involves huge civil penalties. Although millions of taxpayers are simply unaware of the reporting requirements, the government believes some are deliberately committing tax evasion by hiding money in Swiss accounts. The Justice Department has criminally prosecuted several Swiss banks for helping Americans evade taxes. In August, the United States and Switzerland brokered a deal that allows Swiss banks to cooperate with U.S. officials and avoid possible prosecution. Several banks have agreed to cooperate including Valiant Holding AG, Berner Kantonalbank AG and Vontobel Holding AG. EFG is the newest. Unlike some of the very old and established Swiss banks, EFG is a relative newcomer to the banking world. It was formed in 1995 and has offices in many of the traditional “tax haven” secrecy jurisdictions. According to their website, EFG has offices in Miami, Luxembourg, Zurich, Hong Kong, the Cayman Islands, Nassau, Liechtenstein, Monaco, Madrid, Geneva, London, Jersey, Guernsey and Singapore. The Miami office is problematic for the bank and for U.S. customers with undisclosed accounts because it gives the IRS and Justice Department increased leverage and jurisdiction over the bank in order to force disclosures. If you have an unreported Swiss or other offshore account, time is running out if you wish to come into compliance and avoid the harsh IRS penalties. There are amnesty and voluntary disclosure options available but many of those programs only offer eligibility if you come forward before the IRS finds you or gets your name from a foreign bank. This post offers general information. The foreign reporting rules are very complex. We strongly recommend that you find an experienced FBAR lawyer to help you navigate these dangerous waters. If you wish a free consultation to discuss your options, give us a call. All inquiries are protected by the attorney-client privilege and kept in strict confidence. or by telephone at (414) 704-6731 (direct). Most services can be handled for a flat fee.